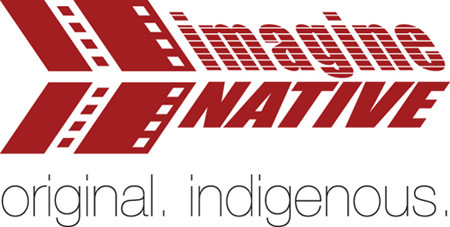 “imagineNATIVE is accepting applications for the annual Charles Street Video/imagineNATIVE Residency professional development commission program for Greater Toronto and Hamilton-Area based Indigenous filmmakers. “Until this program opens in Nova, the Ontario Arts Council’s online granting system, program information may change. This includes deadline dates and specific information on eligibility. Be sure to visit this page after the program opens in Nova, but before starting your application. Deadline: 12 NOON EST on April 1st, 2019. 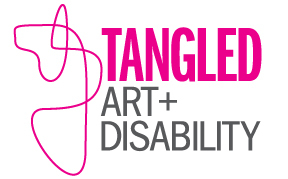 Artists and artist teams with established public art experience are invited to submit their credentials, examples of prior experience and a preliminary vision for the development and execution of a site-specific, permanent, outdoor art installation for a public art project to enhance Farquhar’s Lane, Toronto, Ontario, Canada. The vision is to capture the life and ambience of Toronto’s early waterfront with bold design that is engaging and informative. The project will be conducted in two Phases over two years with a total budget of $320,000. This is a two-stage, open competition for professional artists who can demonstrate past experience in outdoor public mural creation and installation. Based on the responses to this call for expressions of interest, a Selection Committee will select three (3) artists to develop their design proposals. Each of these artists will be paid a fee of $2,000 (Canadian dollars) to prepare the design proposal. Based on the design proposals the Selection Committee will choose one artist to execute the project. An additional fee of $3,000 will be paid to the winning artist for their final design. For more information about the project and application, please see document or visit Mural Routes’ website. 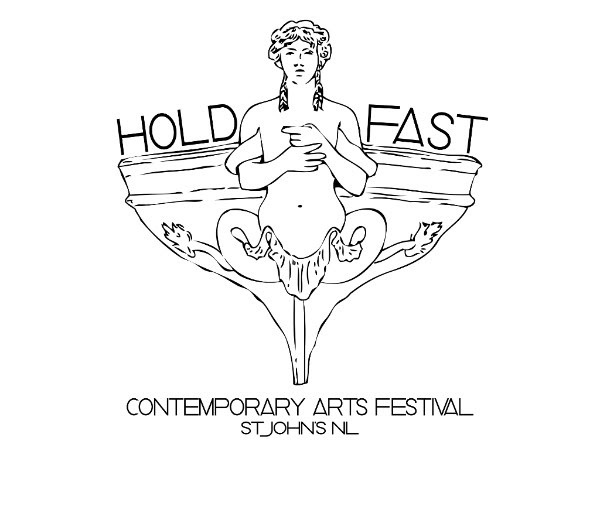 Eastern Edge Gallery seeks local, national, and international artists for their 20th Contemporary Arts Festival – HOLD FAST! Opportunities for established works to expand into our communities through a residency program, workshops, artist talks, and culminating in a performance/installation based Art Crawl event! We hope to see proposals with engaged and informed artistic practices that can challenge or explore the ways in which art can make an impact. For more information, please visit Eastern Edge Gallery. We define a newcomer as: an immigrant or refugee who has lived in Canada for less than 7 years; a refugee is a person who was forced to leave their home country and is now located in Canada. The program provides funding for individual newcomer and refugee professional* artists to be mentored (guided) in their chosen arts discipline. The mentorship application is submitted by the newcomer artist with the mentor as the co-applicant. Both the applicant and the mentor must identify as professional* artists. If you are a newcomer or refugee artist and you need help finding a mentor or accessing translation services, please contact Rupal Shah by March 31, 2019. The total grant is $10,000. “Are you a newcomer artist, craftsperson, architect or designer? 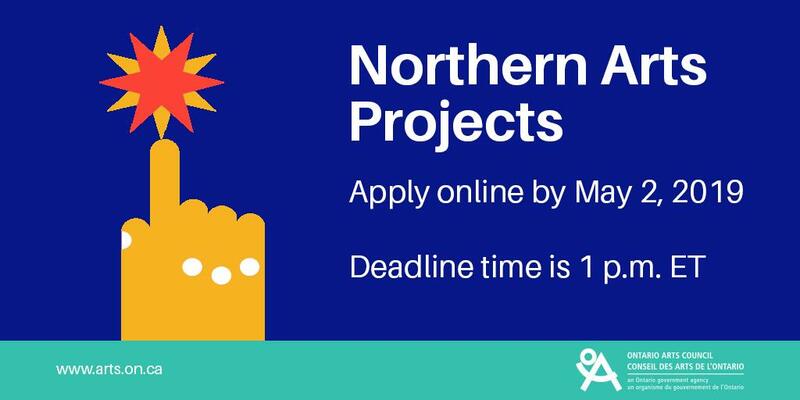 Do you want to work on a community arts project? 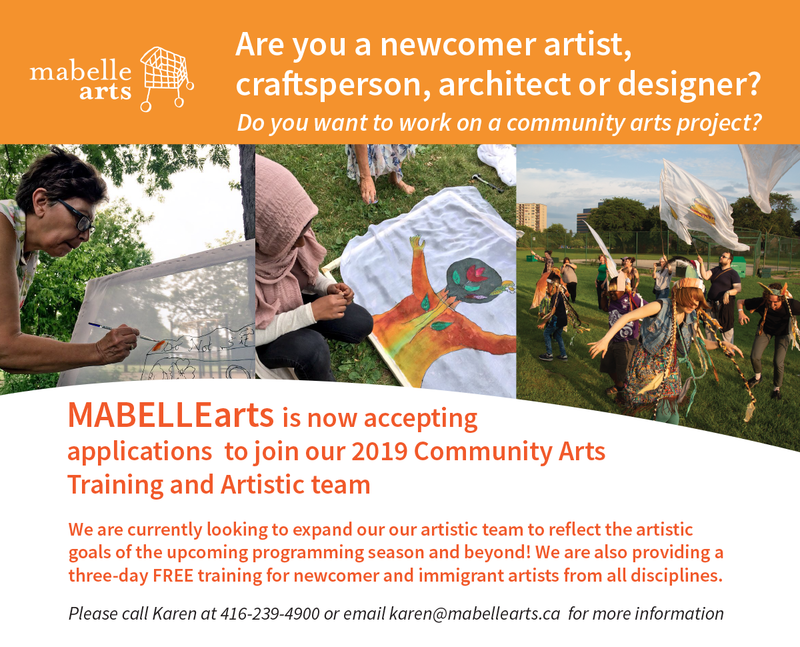 MABELLEarts is now accepting applications to join our 2019 Community Arts Training and Artistic team. We are currently looking to expand our our artistic team to reflect the artistic goals of the upcoming programming season and also providing a three-day FREE training for newcomer and immigrant artists from all disciplines. We have 10 training spots available and after training we will have 3 paid spring/summer opportunities as an artistic assistant where you will be provided be mentored by an experienced community artist, network with other newcomers from a range of cultural and artistic backgrounds and be part of projects that engage with the community. For more information, please visit MABELLEarts. Le 22e Festival Théâtre Action en Milieu Scolaire 2019 : Le feu sacré ! 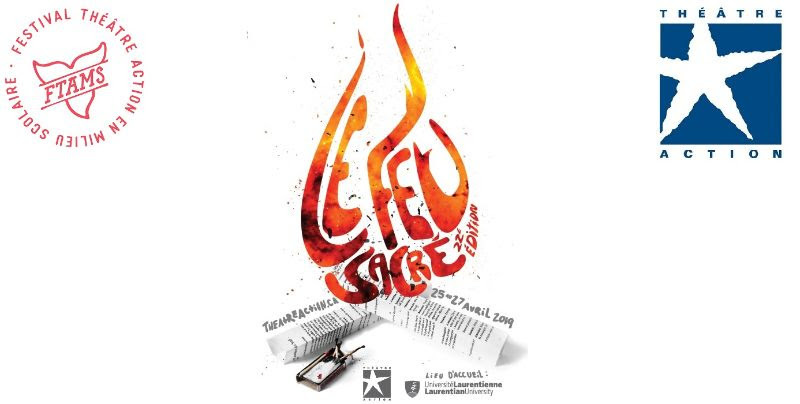 “FTAMS 2019 : Le feu sacré ! Théâtre Action a le plaisir de vous convier à la conférence de presse d’annonce de la 22e édition de son Festival Théâtre Action en Milieu Scolaire (FTAMS). Le FTAMS est un événement d’envergure unique en son genre, qui convie annuellement les jeunes de la 9e à la 12e année issus d’écoles secondaires francophones de l’Ontario intéressés par le théâtre. 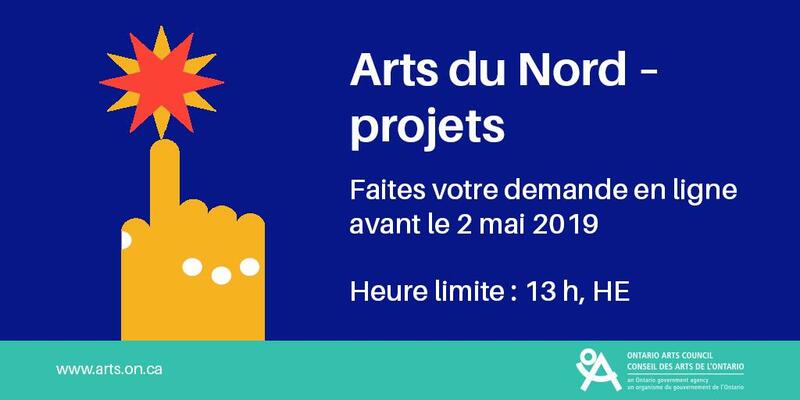 La prochaine édition du Festival se tiendra du 25 au 27 avril 2019 à l’Université Laurentienne. Le Festival accueillera cette année près de 400 participants, offrant une occasion de formation, de partage de connaissances et d’agréables moments de théâtre. Des souvenirs qui demeureront assurément gravés dans la mémoire des festivaliers ! Dans le but d’offrir un modèle chaleureux et inspirant aux festivaliers, Théâtre Action emploie, pour chaque édition du FTAMS, deux professionnels du théâtre franco-ontarien. Pour une deuxième année, le duo officiel de parrain et de marraine du FTAMS sera formé par Caroline Yergeau et Pierre Simpson, qui sont prêts à passer le flambeau à la prochaine génération de praticiens du théâtre. À l’instar du feu sacré, les jeunes participants au FTAMS sont animés d’une énergie créatrice, grandissante et mouvante. Le FTAMS leur offre un environnement attirant et chaleureux.